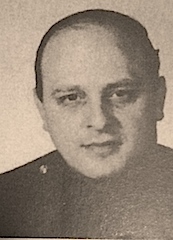 Detective Joseph Picciano was shot and killed by a prisoner at the 41st Precinct building at 1086 Simpson Street. Detective Picciano was fingerprinting a suspect that he and other members of the 41st Precinct Detective Squad had arrested for abducting a 13-year-old boy. As he was being fingerprinted, the suspect began to struggle with Detective Picciano. During the struggle, Detective Picciano's service revolver fell to the ground. The suspect was able to gain control of the weapon and fired two shots, killing Detective Picciano. Other members of the Detective Squad were able to return fire, killing the suspect. 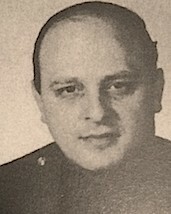 Detective Picciano had served with the New York City Police Department for ten years and was assigned to the 41st Detective Squad. He was survived by his wife and three children.